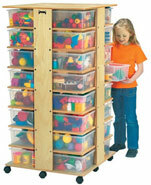 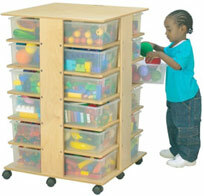 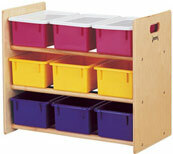 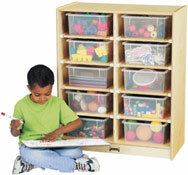 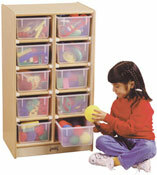 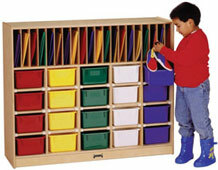 Cubbie storage designed to hold tubs and trays have become an essential fixture in American schools. 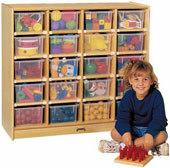 Choose from a wide assortment of configurations. 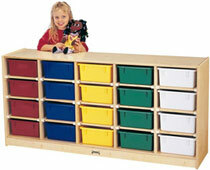 All units are made in the USA. 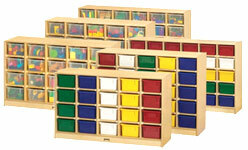 All units ship fully assembled. 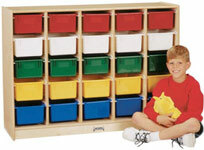 Non-toxic, non-yellowing finishes. 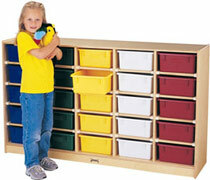 Tub and tray color choices available. 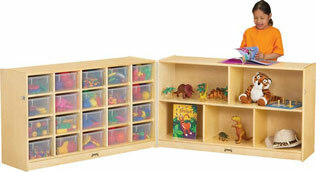 Scroll down to view entire selection of Cubbie Storage Units. 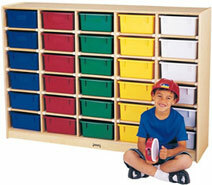 Removable partitions plus cubbies for twenty students.